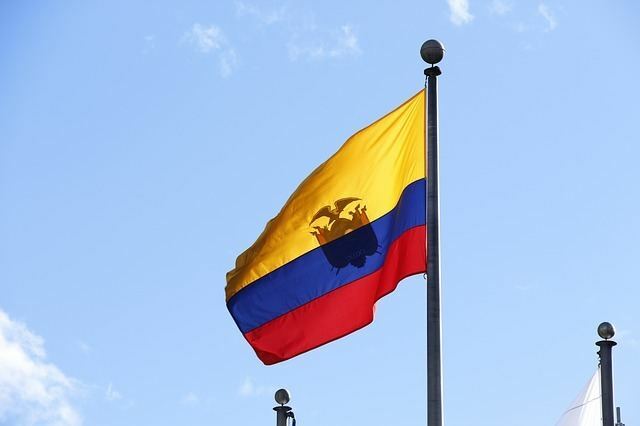 Ecuador is a small South American country. But, don’t be fooled! It packs a lot of punch. With its range of eco-diversity, it’s possible to go from the beach to the Amazon in just a few hours. Travelers arriving into the capital city of Quito often have the Galapagos in their sights. But, with just a few extra itinerary days, it’s more than possible to explore all the things to do in Quito and to take a variety of Quito day trips to discover even more of Ecuador’s natural beauty and culture. 1. Experience Cotopaxi National Park. Cotopaxi National Park is the 2nd most visited National Park in Ecuador after the Galapagos and for good reason. Cotopaxi Volcano is the 2nd largest active volcano in the world. On a clear day in Quito, the volcano can be seen in the distance, with its snow-capped top and reddish mid-section. The park terrain is rugged and beautifully barren, except for small, low to the ground shrubs and wildflowers that can survive the elevation and (sometimes) harsh winds. Cotopaxi National Park is also one of the few places where its possible to see herds of wild horses roaming the expanse. The most popular day tours from Quito involve seeing Cotopaxi Volcano. You can spend the day hiking and take in the volcano views from over 16k feet. There’s a popular hike up Cotopaxi to a summit ranger station. Once there, you can descend on a thrilling bike ride back down. Or, you can also opt for a horseback riding excursion around the volcano and through the National Park. 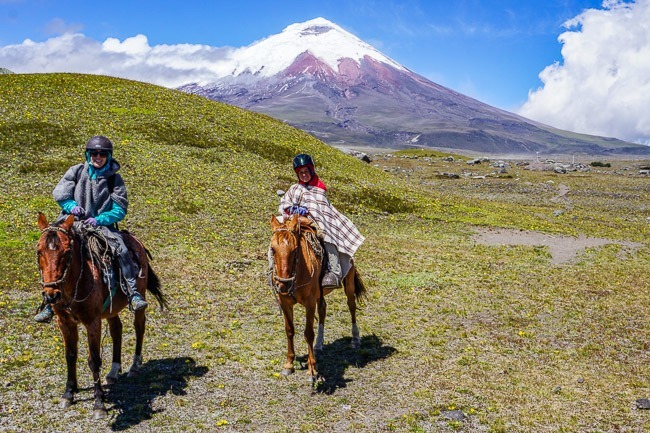 Either way, a Cotopaxi tour from Quito is listed first in this guide for a reason. It’s a can’t miss Quito day trip. 2. Shop at Otavalo Market. 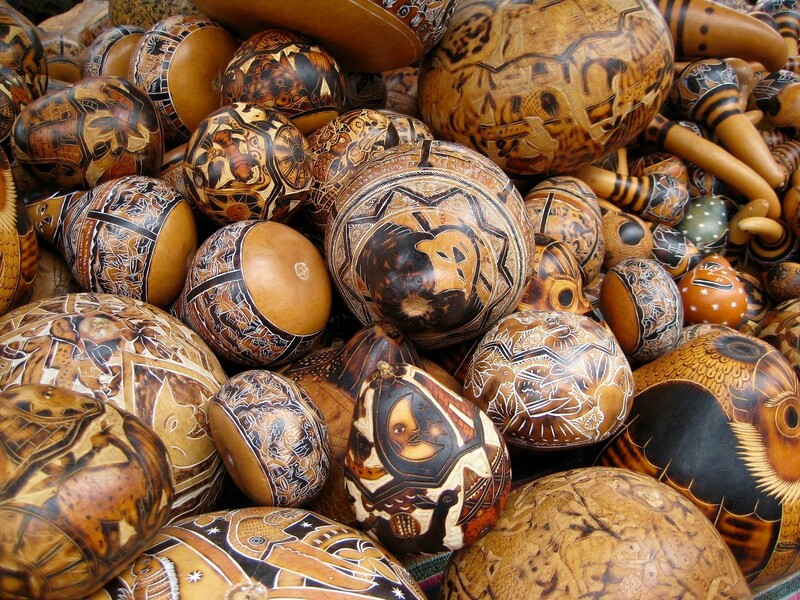 The famous indigenous market consists of 2 locations, the animal market and the crafts and goods market. On weekends, the animal market sells animals from livestock to puppies. As an animal-lover, it’s difficult to see animals being thought of as commodities rather actual creatures with minds and hearts. If you’re part of an organized Otavalo day trip from Quito, you’re likely to stop at the animal market. However, most organized tours visit near the market’s end and for just 10-15 minutes. From there, it’s on to the craft market. On weekends, the market expands from the main square in Otavalo to the nearby side streets. Locals sell everything from blankets to jewelry to indigenous musical instruments and spices for cooking. There’s an expectation of haggling which adds to the fun. Not to mention how easy it is to pick up any and all gifts for friends and family back home in one place. From Quito to Otavalo, connecting buses make this trip possible for independent travelers. An organized tour is convenient. In addition, it combines additional stops like a visit to Cotacachi’s Volcano crater and the town’s leather markets. 3. Visit the Mitad del Mundo. Ecuador, and in particular the Quito area, sits along the equator. Just outside of the capital city is a newer monument and a museum to mark the location. The rather funny detail in this whole visit is the actual equator line was every so slightly miscalculated! The real equator is about 250 meters south of the “official” Middle of the World monument. The former monument was moved to the official location in a small village nearby called Calacali. Visitors to the newer Monument can stand on the “Equator” line for photo-ops. You can even have your passport stamped from the Equator. It’s completely possible to take connecting buses from Quito for the hour ride or you can even negotiate a taxi fare to the monument and museum. Some taxi drivers will even take you to the actual, lesser-known Equator location in Calacali for an additional cost. 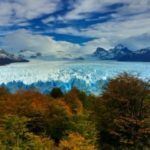 If you’d like to streamline your visit, opt for a Middle of the World tour, typically lasting 3 hours including round-trip travel time from Quito. 4. 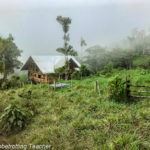 Get Adventurous in the Mindo Cloud Forest. 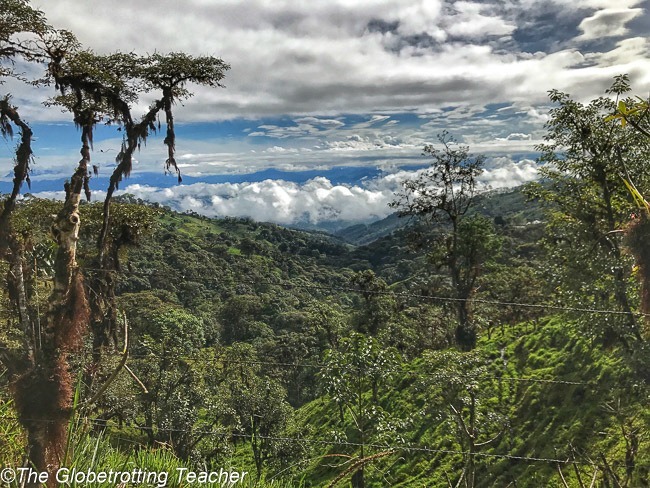 The Mindo cloud forest is just a couple hours from Quito and offers a range of outdoor adventures from hiking to tubing to zip lining and biking. The cloud forest stretches outward for about 100 square miles thriving in the valleys and along the slopes of the Andes. 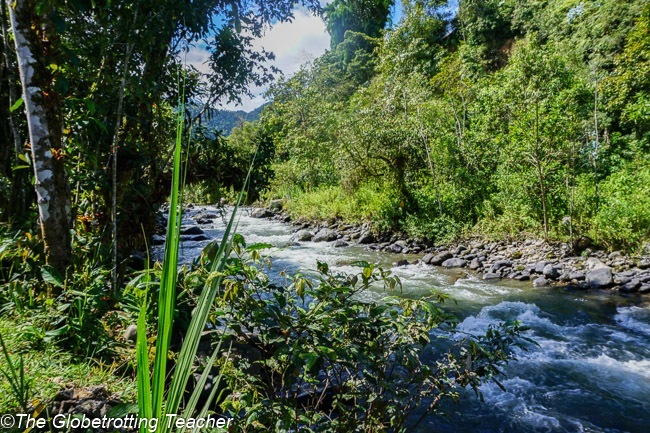 In particular, Mindo’s protected valleys get gentle winds and just the right amount of moisture. The result is a perfect nursery for birds and butterflies. Birdwatchers flock to Mindo (couldn’t help myself!) to see the area’s 350+ species of birds. Mindo’s butterfly exhibition and chocolate tours are also popular Mindo things to do. If you can spare more than a Mindo day trip from Quito, it’s actually worth an overnight. Arriving early on a bus from Quito and departing the following afternoon/evening will allow you plenty of time to get into the cloud forest for a fuller experience. 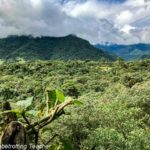 I’ve put together this 2-day Mindo cloud forest guide to make your planning easier! 5. Hike into the Quil0toa Crater. Around 800 years ago, the volcano at Quilotoa erupted and collapsed in on itself. While not necessarily great news for anyone living in the area back then, the crater lake that formed as a result, has become one of Ecuador and South America’s most beautiful natural wonders. The sulfur and minerals in the crater give the water in the Quilotoa crater its gorgeous turquoise color. The crater’s elevation at over 11k feet provides stunning panoramas of the area and a birds-eye view over the crater itself. Some travelers on a backpacker route through Ecuador opt for the multi-day trek known as the Quilotoa loop. A Quilotoa day trip from Quito, though, allows visitors to hike down partways into the crater. Alternatively, you can explore around the rim. If you hike down into the crater, you can hire a mule for the ride back up. Organized tours simplify getting to Quilotoa, as there are no direct buses from Quito. Tours also allow time for visits to nearby villages for a glimpse of local life. Where do I meet my Quito Tour Bus? 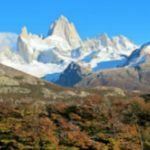 If you’ve opted for an organized tour for any of the above excursions, you’ll want to stay in a convenient location. La Mariscal near Plaza Foch and the old town have meeting spots where many tours begin. 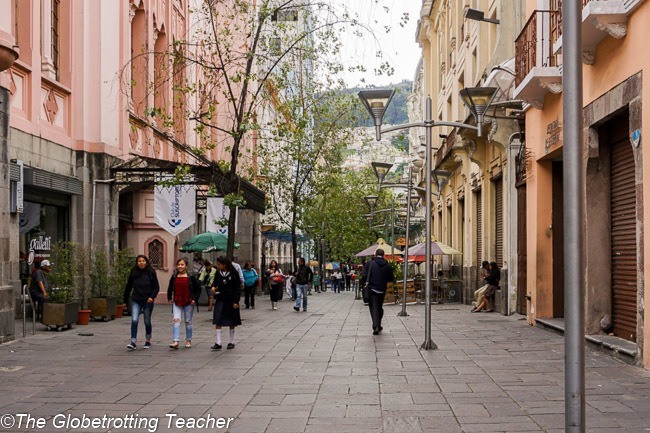 For travelers looking to maximize their time in Quito and the surrounding area, consider staying in a hotel or Airbnb in these neighborhoods. I chose a hotel in the La Mariscal neighborhood and never needed to walk more than 5 minutes to meet up with my tour group. Yes! Book your flight to Ecuador. There are so many things to do in Quito and the surrounding area. 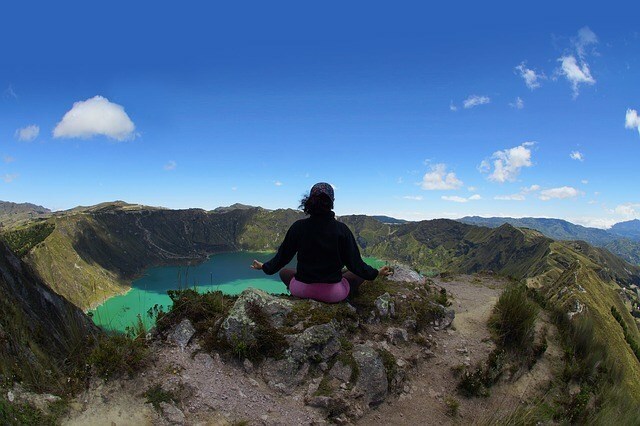 Get active at a natural wonder or explore Ecuador’s culture! 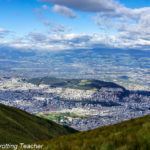 Whether you choose to set off independently or join one of the Quito tours mentioned above, you’re sure to experience some of the best day trips from Quito! 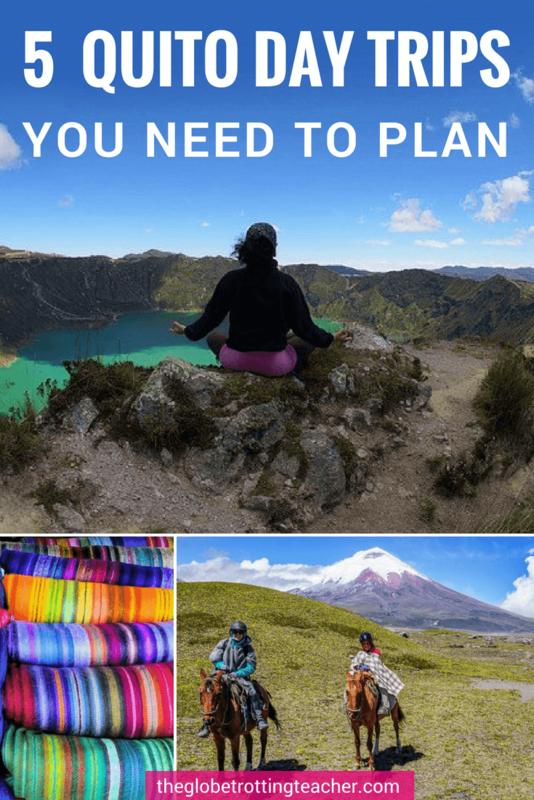 Which Quito day trips are musts for your Ecuador itinerary? All five of those look like great ideas! I think we especially would want to do the cloud forest. Did one in Costa Rica and loved being one with nature. Great post! I’ve been to Quito twice, once as a teenager and we did more sightseeing including the market and I think the Cotaxi volcano. But the last time we did just pass through on the way to elsewhere and I think that was a mistake. Next time I shall make more time for the sights in and around! 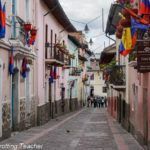 Wow, I had no idea there was so much to do in Equador! I’m not very familiar with the country but now I feel like I should visit someday. The cloud forest sounds awesome…I love nature and birdwatching, and so it sounds like a great place. Ever since my friend showed me pictures of Yasuni park, I have been hooked to all things Ecuador. Your day trips from Quito are more of the same bliss to me. Love to check out that snow capped mountain too! Thanks for reading, Sreekar. 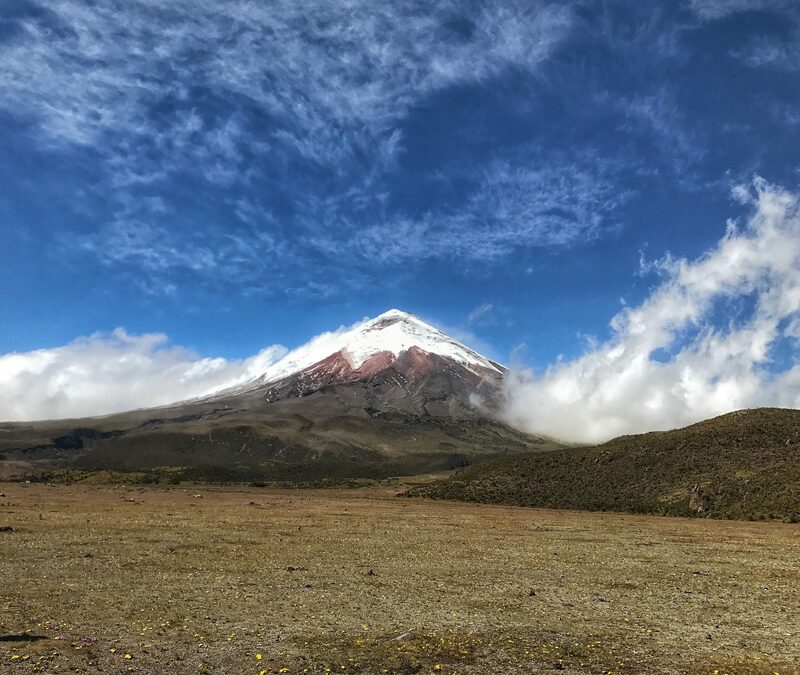 Cotopaxi Volcano is a must-see while in Ecuador. 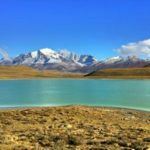 Due to getting my traveling burn out after 6 years of continuously being on the road I missed Ecuador out of my South America trip, I was meant to go but rushed over to Peru but reading through this post I’ve definitely put it back on my list for when I go to finish South America off. Quil0toa will definitely be wroth the visit, I could it there for hours just gazing out lost in my day dreams. . Thanks for reading, Amit. Glad to hear you’ve not written off travel altogether after feeling burned out. 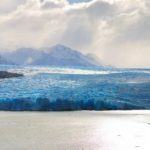 Ecuador is a great place to pick up your South American travels. So many beautiful things you’ve described in this article. 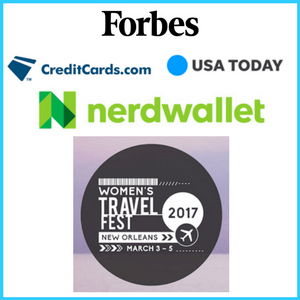 It really makes me want to book a flight. I laughed out loud when I read about the equator spot being miscalculated. I’d love to do the bike ride down Cotopaxi and visit a cloud forest. Hysterical, Carol! I guess someone should have double checked that math before building a monument! Add Ecuador to your list, for sure. You’ll love it. I didn’t really enjoy Quito itself but loved exploring around there. I spent a couple of nights in Mindo and Otavalo which was lovely – unfortunately I couldn’t go to Cotopatxi as it was erupting at the time! Day trips are great for those short on time, but if you can spend more time exploring its great to do that too. Sorry to hear you didn’t like Quito, Claire. But glad you got to see Mindo and Otavalo. I can only imagine what it must be like when Cotopaxi erupts. Quite the sighting for sure! Never heard of this part of Ecuador. And what a beautiful view after a hike- A lake volcano! 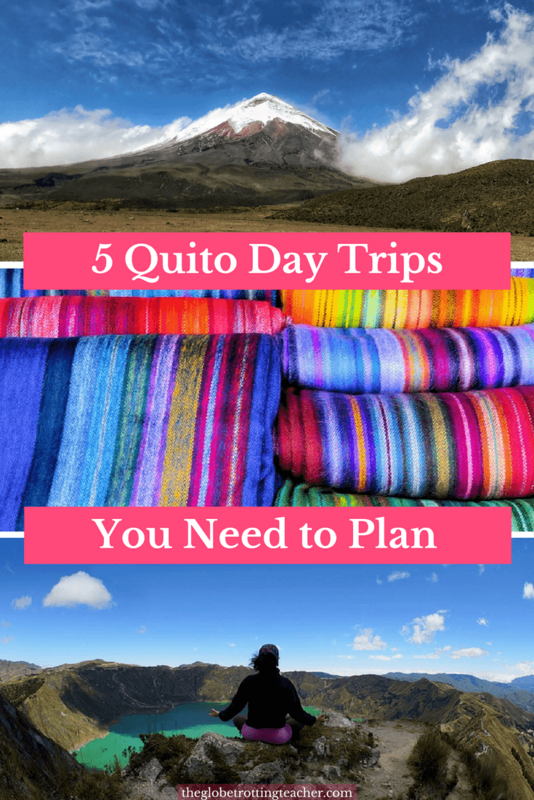 All five of these options seem like worthy day trips from Quito. The Quilotoa Crater is probably my top choice, the color of that water is unreal! 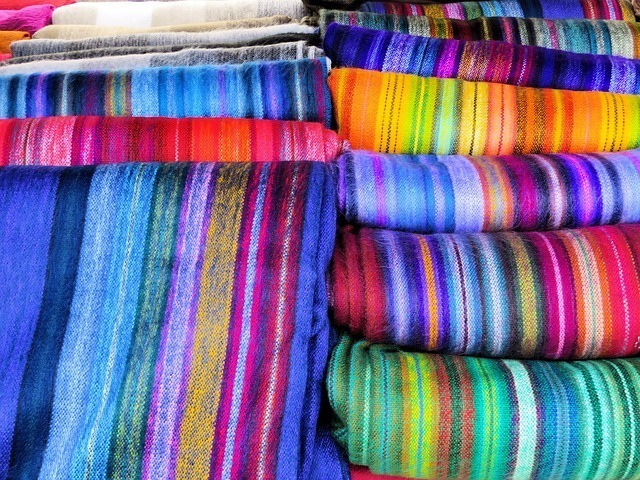 Did you pick up anything from the Otavalo markets? Would you be able to help in a timely fashion as we have to pay in full for our 17 days trip by Monday.